Organisationally, the Old Catholic movement is both a structural and a theological entity. Structurally, it is a decentralised church that manifests as a series of small groups, most of which take on an autocephalous and autonomous identity based on their ultimate origins within the Roman Catholic Church. This leads variously to groups which are proto-Uniate in character, seeing their mission as closely aligned to Rome, as well as groups that express a wider ecumenical identity. Published in a limited, numbered, softcover edition by European-American University Press: Volume 1, 522 pages. 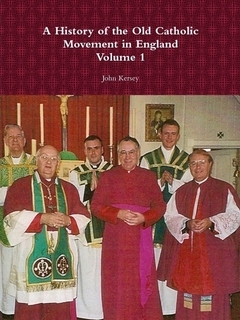 Volume 2 (Supplement), 126 pages. Sold out; revised reprint available as described in the next post. This entry was posted in European-American University Press. Bookmark the permalink.